Sussex Street Community Law Service Inc. is a free and readily accessible legal service to low income and disadvantaged people in the community. Sussex Street has a long history of providing social welfare services commencing in 1978 and legal advice commencing in 1982. Free Community Legal Education sessions are conducted by Sussex Street staff in each of the programs we deliver. 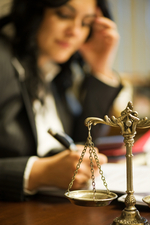 A Night Legal Service is available offering short advice appointments in Family and Civil Law. For more information on the services provided by Sussex Street Community Law Service Inc see the Overview and Programs and Services. Opening hours are 9:30am to 4:30pm Monday to Fridays.